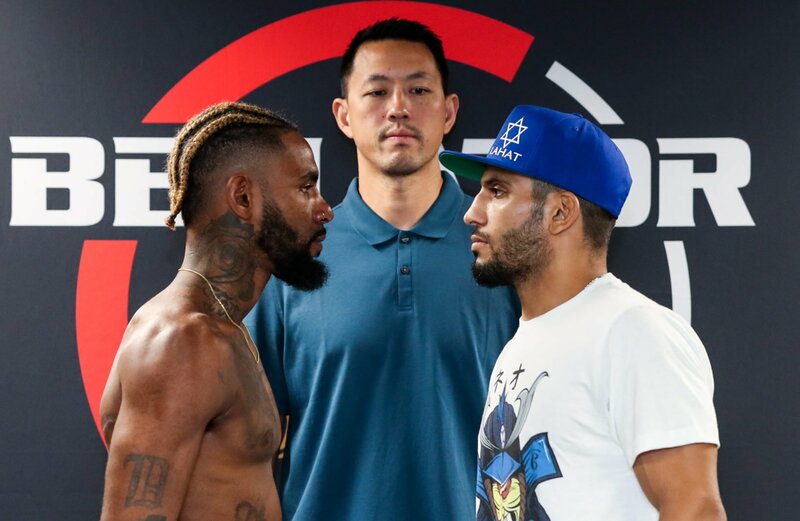 Bellator Bantamweight Champion Darrion Caldwell’s venture back to the featherweight division resulted in a knockout victory over Noad Lahat in the main event of Bellator 204 at the Sanford Pentagon in Sioux Falls, South Dakota. Lahat threw a right during the opening round that shook Caldwell up a bit, but Lahat’s takedown attempt was stuffed and Caldwell used his wrestling pedigree to secure top position on the ground. Despite Lahat’s best efforts, Caldwell kept him grounded with some offense in the stack position and countering all of Lahat’s transition attempts. Caldwell brought the action back to the ground very quickly in round two, entering right into guard. Caldwell got Lahat’s back up against the cage and tried to transition to take it and lock in a rear-naked choke. 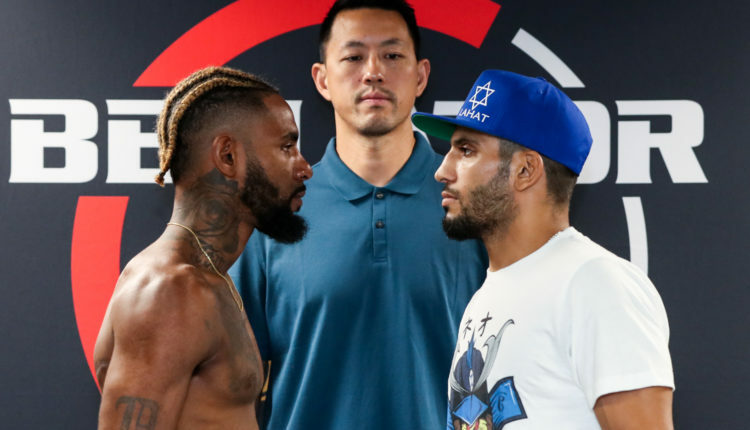 While he didn’t lock one in, he was able to remain in the top game, rocked Lahat as he attempted to turn and landed a barrage of shots to the head until referee Mike Beltran stopped the fight. In other main card action, A.J. Matthews was able to survive a doctor’s inspection to prevent a stoppage but ended up getting finished by Logan Storley. Ricky Bandejas pulled off what likely was the finish of the night, stopping James Gallagher with a sidekick and punches en route to a first-round win and giving Gallagher his first loss as a pro. In the opener, Tywan Claxton dominated Cris Lencione en route to a unanimous decision victory.